I faced two tragedies in my life. First, I was born as a Palestinian refugee in Syria. Second, I lived in Syria as a refugee and then came to Canada on my own once again as a refugee. Now I am a Canadian but still feel like I’m split into three pieces. 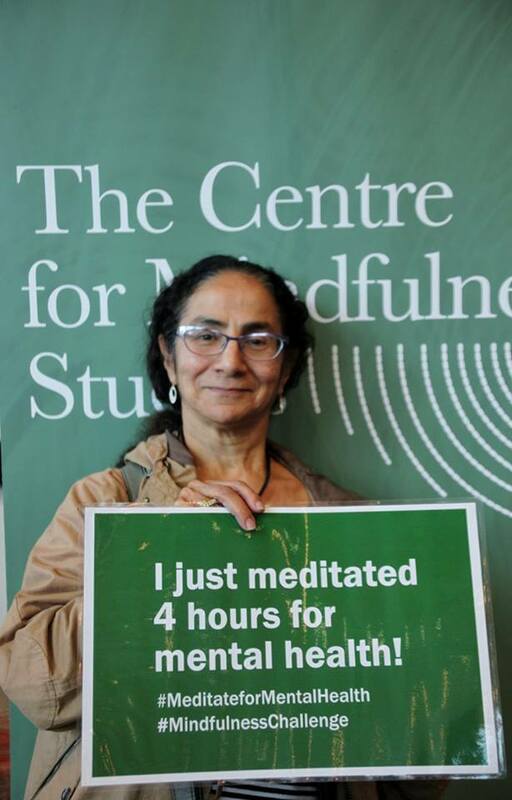 I first got involved with mindfulness as an interpreter for a group of Syrian women who were taking part in a Mindful Peer Leadership program that the Centre for Mindfulness Studies was organizing with Sistering and four other community organizations. I was interpreting English to Arabic for this group, and at the same time, I started learning and practicing mindfulness myself. I saw firsthand how mindfulness helped this group of Syrian women – over time, they became calmer and more at peace, they were able to see things more clearly, and they started using mindfulness to overcome the many stressful situations they faced in their new lives in Canada. As for myself, practicing mindfulness helped me a lot because I have a very stressful job – I interpret for people who have trauma and who face various problems in court. In the past, I would take some of these problems with me but now I practice mindfulness for myself to release some of the tension that comes with my job. Now if I have a problem, I don’t worry as much. I think to myself – what’s the worst that can happen? And I realize the problem never goes that far, I am prepared for every situation. There are many more people we can currently help. Help us raise money so we can provide more clients with access to our Community Program. 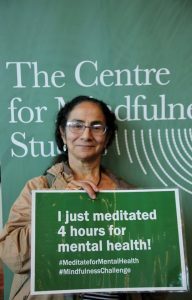 Meditate for mental health at Mindfulness Challenge 2018.